The 2015 Great Australian Beer Festival’s entertainment line-up features genres of music from the world over alongside comedy, cabaret and a touch of vaudeville acts. Australia’s biggest alfresco craft beer and cider garden – the 2015 Great Australian Beer Festival – is being held at Geelong Racecourse on Saturday February 21, 2015 and in the past two years has earned a reputation for stimulating more than just tastebuds. This year’s entertainment will delight music lovers, featuring rhythms of the Caribbean, Australia’s hottest bluegrass bands, a touch of country, indie and Celtic folk, jazz, funk, plus a dose of soul. 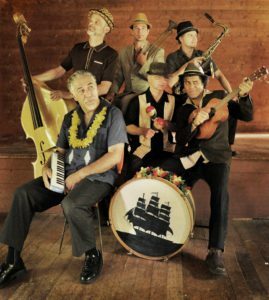 Nicky Bomba and Friends will play from their vast repertoire with upbeat rhythms of the Caribbean, covering the Calypso, Early Reggae and Ska styles. The Pierce Brothers have exploded as one of Australia’s must-see up-and-coming live acts selling out shows pretty much everywhere they go. 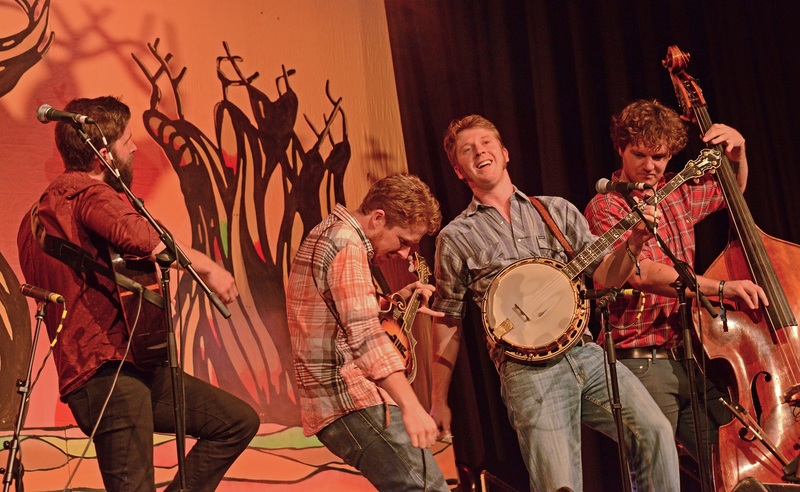 Australia’s hottest bluegrassers, The Davidson Brothers, are fast becoming known on the world stage for their high powered picking, fine vocal harmonies and classic humour, and are leading the way for the new acoustic wave on the Australian music scene. The Go Set, a punk rock band formed in 2002, built around founding member and main songwriter Justin Keenan, will perform an acoustic set of Celtic folk with a blend of punk attitude. Much of the likes as Billy Bragg, their lyrics feature a strong historical, social and political conscience. 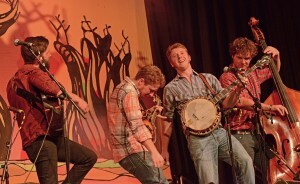 The Pheasant Pluckers have been treating audiences to their own unique brand of home grown original alt country bluegrass for a while now. Call it what you like, the music is unmistakably Australian, high energy and fresher than ever. Step into Spyndrift’s carousel of cabaret. This highly theatrical, quirky quartet, play an intoxicating range of musical styles from dub-ska to circus-cabaret. A dynamic musical performance complete with eccentric characters in lavish costumes. Kelly Auty has honed her voice and performance style into a passionate, graceful and dynamic experience and her tributes to the likes of Aretha Franklin, Etta James, Janis Joplin, Linda Ronstadt, just to name a few, will surely be a highlight on the cabaret stage. Geelong’s big band, Sweethearts, will perform their fusion of styles based around classic soul. Their all girl power show (25 piece) includes a mixture of originals and re-worked classic sounds – they have been loved by crowds around the world. Also appearing are recent Queenscliff Scholarship award winner Cat Sanzaro with her blend of indie folk and Duke D’Jour, a13 piece ukulele, Double Bass, Banjo, Guitar, Sax, washboard and percussion, Kazoo, Harmonica and Jug experience! Comedy is being introduced this year with seasoned performers Doug Chappell and Ethel Chop – adding another dimension to the cabaret, vaudeville and outrageous satire and hilarious improvisations from Moulin Beige’s mad-capped characters. Free seminars and master classes run throughout the day with Masterchef finalists cooking up a treat using craft beers and ciders. The festival is designed so you step into a beer lover’s paradise, wander through pop-up bars sampling a smorgasbord of 200+ delightful brews, stroll alleyways to discover surprising happenings, music and art with irresistible entertainment all around. Join brewers and beer lovers from Australia and beyond who make the annual pilgrimage to the city by the bay to experience first-hand what makes the Great Australian Beer Festival the most loved and unique beer fest around. The most colourful beer festival you’re ever likely to attend runs from 11am to 7pm and entry starts at $39.50 + bf. Direct shuttles run from South Geelong Station to get you safely to and from the event. Follow the link below to take a peek at the Great Australian Beer Festival YouTube video. Tickets are on sale now at via the GABF Geelong website.